“The course increases the practitioners’ awareness and understanding of EMS safety standards and practices and develops their ability to effectively implement them. 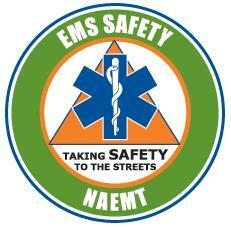 EMS Safety is the first national and most comprehensive education program of its kind that teaches techniques on how to best achieve safety on the job. Aetna and ASM employees that takes and pass the class and are either ACLS or PALS instructors (or are a licensed teacher) will be able to teach the class in the future. It is possible that the program will be integrated in future learning opportunities and orientations. 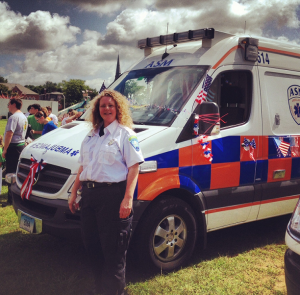 MANCHESTER — A local ambulance company has made a substantial investment in its fleet over the past four years, gradually replacing Fords with what is now a German/American emergency vehicle. 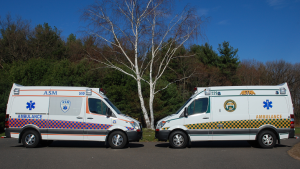 Ambulance Service of Manchester is among the first medical response companies of its size in the nation to switch its line to Sprinter ambulances, ASM spokesman Dave Skoczulek said Thursday. Sprinters had been a Dodge product, but are now part of the Mercedes-Benz line. At the end of the month, the company will have replaced 27 of its 28 ambulances with Sprinters. The only remaining Ford will be the company’s bariatric ambulance, which is equipped to handle heavy patients. The diesel-powered Mercedes ambulances get three to four miles more per gallon than the Ford E-350 vans they replaced, have more head-room can remain in service longer with less maintenance and are equipped with a stablity system that the Fords lacked, Skoczulek said. Another advantage is the Sprinter’s sliding side door, a roadside safety improvement over the Fords, which had swing-out side doors. 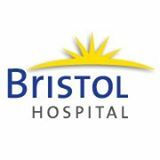 My name is Theresa Stross and I am a Registered Nurse at the Bristol Hospital Cancer Care Center. I am writing you about three of your employees who were at our cancer center on Tuesday July 16. We had a new patient at our facility who on the way out of the bathroom started to collapse in the hallway. Quickly and professionally your three EMT’s who were here because of another patient,jumped into action and assisted our PCA to get the patient to a stretcher. 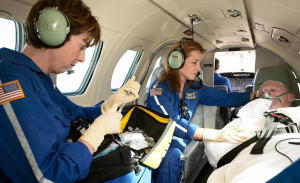 Right away they worked with the staff here to obtain vitals, start a line, check a blood sugar, and ultimately transfer the patient to the emergency department for further evaluation. They were very nice, kind, and professional not to mention how helpful they were when this unexpected event occurred at a time when the cancer center was very busy. These three men were: Rob Balkun, Cory Lachance, and Mike Makulis. I thought it was the least I could do to inform you of how well your employees performed. Many thanks again to Rob, Cory, and Mike. HARTFORD — On July 20, 2013 a team from the Ambulance Service of Manchester participated in a Run or Dye event in Hartford. 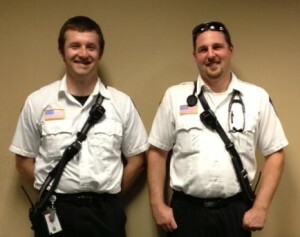 A picture of Team ASM after the event appeared on the Facebook page “The Most Interesting Ambulance Crew in the World”. 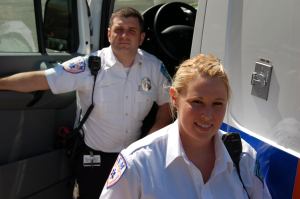 In Connecticut’s world of emergency medical services, fragmentation is the name of the game. 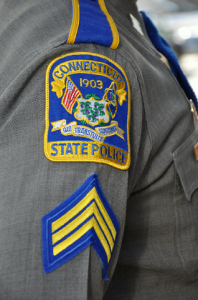 When the half-million or so 911 calls are placed each year by Connecticut residents, just who shows up to provide life-saving support depends on location…. Wayne Wright, who is the president and CEO of Hartford’s Aetna Ambulance Service Inc. and Ambulance Service of Manchester, said all ambulance providers are facing financial challenges as a result of declining Medicare reimbursement rates, which are down about 8.6 percent from a few years ago. 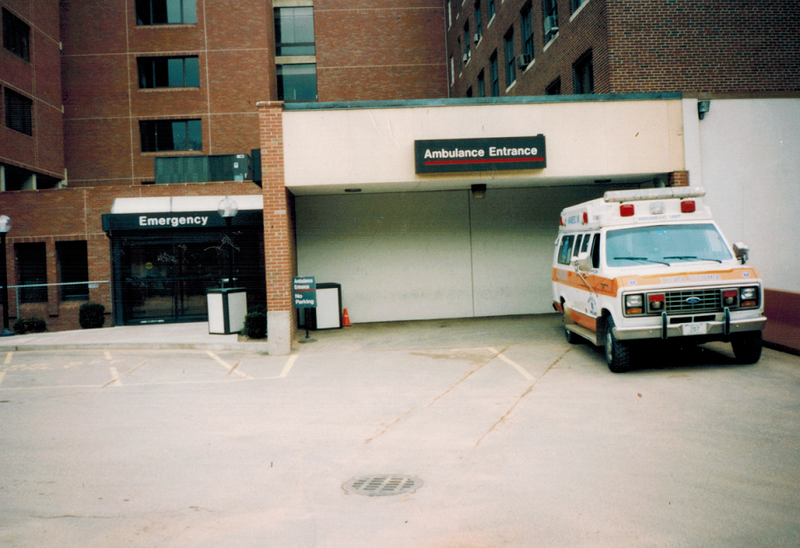 MANCHESTER — 1996, Manchester Ambulance outside of Mount Sinai Hospital’s Emergency Department. Wonderful!! Thank you for helping me get to the hospital when I needed your specialized help. Excellent! I very much appreciated the calm, gentle, quick manner of the medics. Wonderful folks. Thank you for your kind service. In Hartford, there was just one private ambulance company at the time, Maple Hill, provided through the Talarski Funeral Home. (Many funeral homes including Ahern on Farmington Avenue provided ambulance services in the early 1900s, since hearses were large enough for people to lay down in). Penicillin was newly available, and approximately 85% of the world’s supply was being used in the war to treat infections, including pilots’ burns. 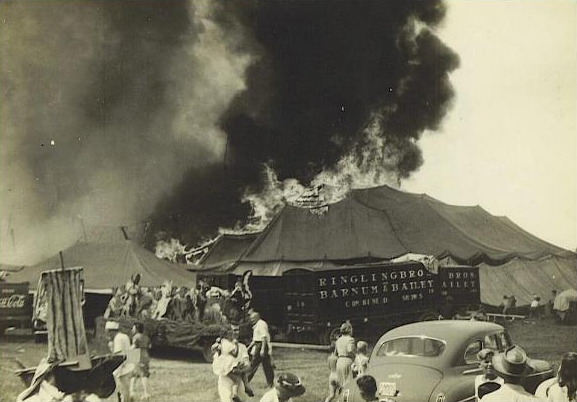 There were several factors that contributed to the Hartford Circus Fire. Small circus fires were actually pretty common in 1944, because more than 41% of Americans smoked. Safety codes at the time applied mostly to buildings. Since tents were “just” temporary structures, they did not generate a lot of attention. Requirements for detailed safety inspections, exit widths and having fire equipment onsite did not exist for outdoor events. With resources depleted from the war, manpower was scarce, so there were fewer Ringling employees watching inside the tent for fires. The tent itself was waterproofed with a highly flammable mixture of paraffin and 6,000 gallons of gasoline, which accelerated the spread of the fire. From the time the fire started until the tent was completely burned away, a total of 10 minutes elapsed. 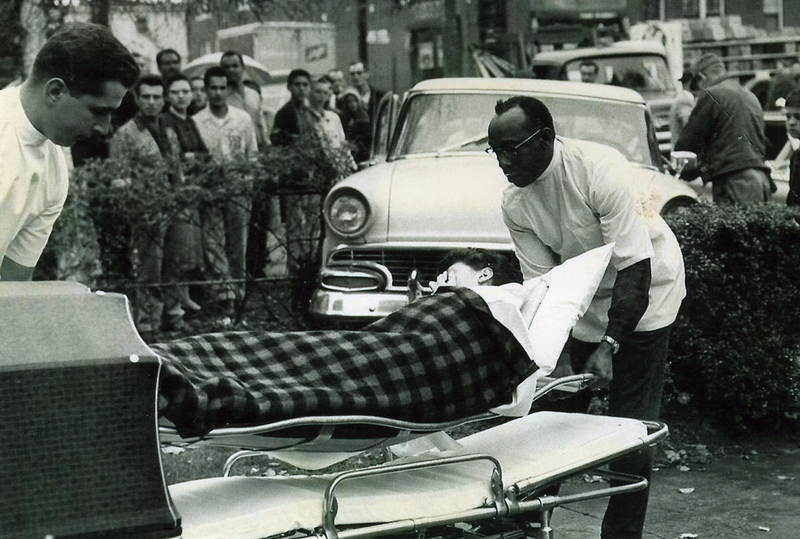 A total of 168 people died, and another 484 were injured…. (more to come, check back for future volumes). HARTFORD — Exact date unknown, estimated to be mid to late 1950s. 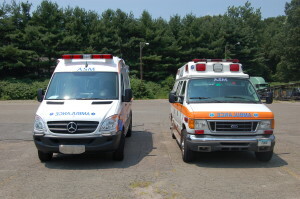 Aetna Ambulance Service began operating in 1945. 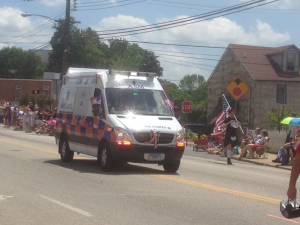 WINDHAM — ASM appeared in Willimantic’s 28th annual Boombox Parade on July 4, 2013 care of AEMT and Field Training Officer Stephanie Boutot. Stephanie has been insistent that ASM participate each year as she was in the very first Boom Box parade. According to the WILI 1400 AM website, the WILI July 4th “Boom Box Parade is the largest of its kind in the world. In 1986, no marching band could be found for Windham’s Memorial Day Parade. Five weeks later, the “Boom Box Parade” concept was born, as WILI plays the marching band music on the air, while thousands march and watch, loudly playing their radios (boom boxes). Anyone can march or enter a float in “Connecticut’s Unique People’s Parade.” The only requirement is to wear some red, white, and blue, and bring a radio tuned to WILI (1400-AM). American flags are optional, but encouraged. There is no “official” theme for the parade. 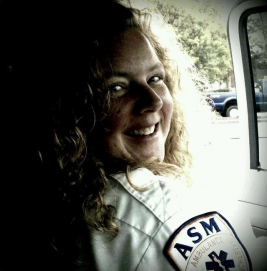 MANCHESTER – In June 2013, ASM received a Patient Satisfaction Survey related to an emergency response performed by ASM crewmembers Kenya Russell and Stephanie Boutot. The patient completed the survey and checked all of the Strongly Agree boxes and wrote in the word “Awesome” to describe the service. (L to R): Sean Piscopiello and Nicholas Foran.